Why destroy value when you can create it? Many businesses will quietly destroy capital (and thus value) without owners or shareholders realising it until it is too late. Why? 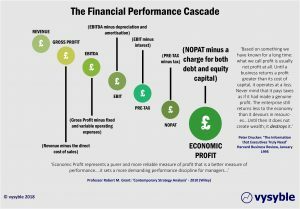 The performance of the organisation is more often than not judged by earnings-based metrics rather than one that factors in all costs including capital costs. Whilst Enron focussed on and promoted growth via the earnings per share measure, the company’s underlying capital and value destruction sealed its fate. This situation persists in business to this day with Carillion’s recent demise serving as a good example. Our role is to help owners and investors understand business performance by tracking the rate of value creation/destruction over time - also known as Economic Performance. 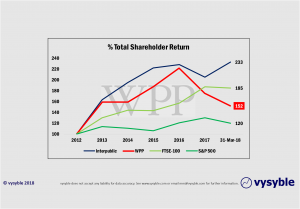 We use value-based measures such as Economic Profit along with our own proprietary calculations and indexing methods to deliver a comprehensive perspective of where the business value engines are located and how to manage them in the future whilst identifying the areas within the business that are destroying value. 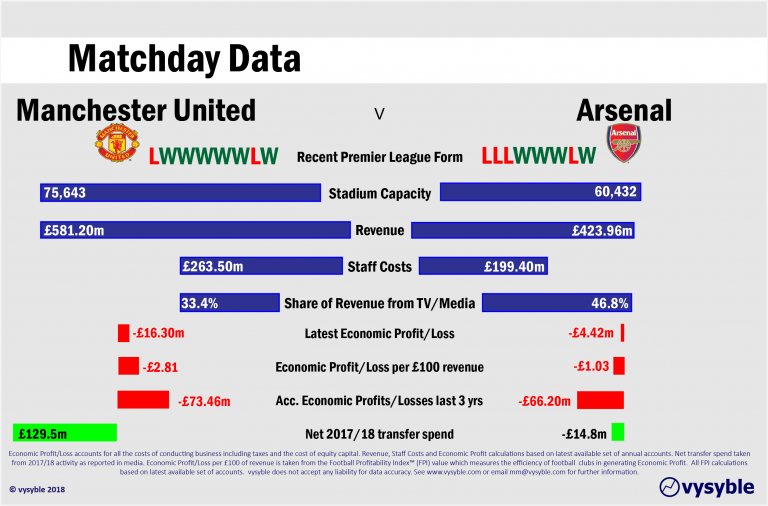 We undertake a thorough economic analysis to determine the true wealth/value dynamic at company and market-level. We identify the areas of the business that are creating value and those which are destroying value. We determine the reasons for good and not so good economic performance eg assessing the cost of revenue against the economic return, identifying the effect of disposals and acquisitions on the value creation dynamic and measuring the economic efficiency of the business using our proprietary indexing capabilities. We assist and advise in the reshaping of corporate strategy to focus on value-creation. Going beyond the Pre-Tax Profit level provides increased transparency in terms of overall business performance. 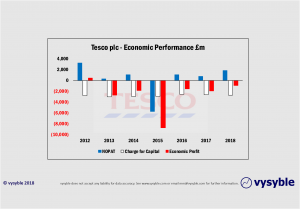 With our unique analytical capabilities we are able to uncover trends previously hidden by the use and reliance on earnings-based measures. Therefore, we can get further into the financial mechanics of the business and understand exactly what is happening and why. Click on an image to see it in context. 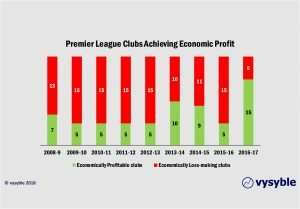 Latest #PremierLeague table with 2017-18 club pre-tax profits. 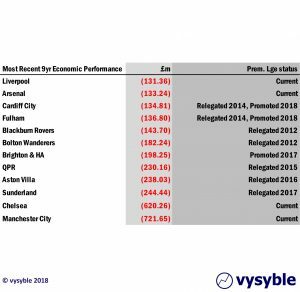 Big 6= 89.27% of total pre-tax profits in PL in 2017-18.
vysyble has gained extensive international media coverage from highlighting the value dynamics and economic performance of high-profile sectors such as English Premier League football, the UK energy supply market and the UK supermarket sector. Complete this form and we'll get you on your way. You can also use this contact form if you have a media or general enquiry.